One of the principal components of good information governance is data security. If the laws you abide by, to deal with your confidential data, does not deal with data security, you could be in big trouble. By now, it is pretty evident how things can quickly spiral out of control when private information gets into the wrong hands. Breached or stolen data practically makes headlines every day. Alarmingly, accidental data breaches are becoming increasingly common in all spheres, for example, when an Australian bureaucrat unintentionally emailed the private information of G20 leaders such as Barack Obama and Angela Merkel to a wrong recipient, there was a huge outcry that made headlines across the world. On a personal level, as individuals, making simple email mistakes can become our biggest weakness. According to a survey conducted by CSO, over 55% of employees have transmitted classified data to unintended recipients. In addition to making email mistakes, cloud behaviour also has its own issues, because of the ease of gaining information and its availability to a greater volume of people. A study conducted by Skyhigh revealed that over one fifth of all data stored in the cloud and collaborative services contained classified information. To effectively and easily mitigate such risks it is important to imbibe a culture of security classification. This allows individuals to establish rules on who can access particular types of data within the organisation. More importantly, it also allows creators of information to tag specific types of content so that only permitted users can access and use it in an appropriate manner – e.g. it cannot be used outside of the company or that it expires after a certain time frame. Given the significance that information security has in any company, data security policies must be regarded as a vital business practice. Productive organisations are those that emphasise huge value on safeguarding their customer data, classified information and other intellectual property. When all staff members of an organisation continuously engage in corporate procedures, there can be a creation of a data security culture. Once all the employees in the organisation are on board, data security tools that are easy to use must be implemented, while provisions for corrective suggestions with constructive feedback should be made in the case there is a data security breach. By getting employees to identify information and build structures to rising levels of unorganised data, the process of classification thus becomes a critical building block to data security. With data being classified, there is greater and wider scope for security awareness, information loss prevention and compliance with management regulations. The key to a positive result is how classification works to secure data. It does so by including metadata to a document — elements about the document itself, for instance author, date of document creation, or the categorisation. When a user classifies any document, the metadata identifies the importance of the data contained within the file. In this manner, the document is preserved irrespective of where the data is stored, transmitted or distributed. Employees must be aware of the documents they are handling when they are classifying information. When classifications are enforced, they can also be added to the information as defensive visual patterns. When the classification becomes evident at the start and end of any document, users of that document cannot deny the awareness of the value that document holds, even when printing it, thus making it their responsibility to safeguard it. Safe handling and apportioning of data can be imposed by Data Loss Prevention (DLP) methods, gateways and other border safety arrangements that employ the classification metadata implanted within the document. For instance, a DLP system may be assembled with a procedure that confines documents categorised as “confidential” from being transported to a USB drive. Likewise, strategies that specify the need to encrypt the most sensitive information can easily be implemented. Based on the classification, rights management tools can be used when encrypting outgoing emails or on PDFs or documents that are saved on the cloud. Rights management ensures that data is protected no matter where it resides and provides persistent controls over data usage. Classification helps to structure unorganised data thus empowering organisations to control how their sensitive documents are being distributed in accordance with compliance legislations and regulations. At the end of the day, document security begins with an individual user. From the time the document is created, to its exchange, data security can be built right in with the help of classification. Classification helps in keeping digital assets safe as it clearly tags information by following security protocol and continually keeping data security as a top priority for all employees when they classify every piece of information they handle. All individuals must practise data security, irrespective of within or outside the company. 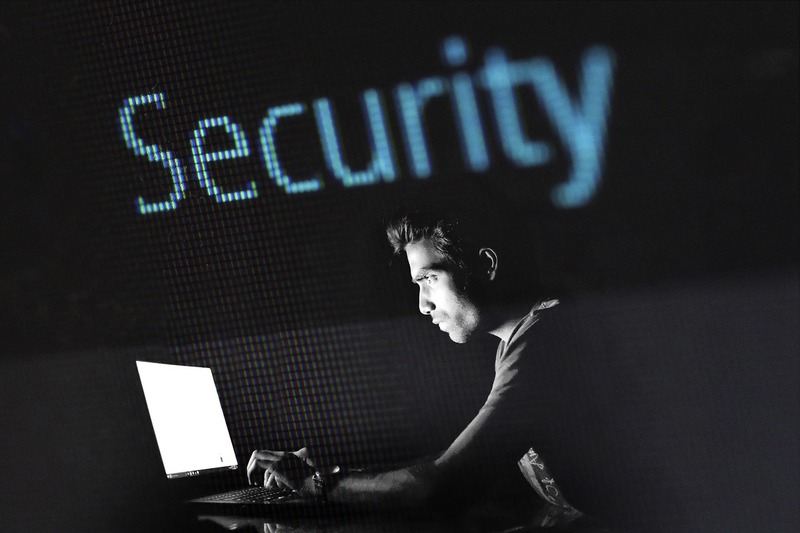 By practising, a few vigilant processes and implementing critical data security tools, organisations can greatly reduce the chances of being hacked or having their data breached by cyber criminals.